I can’t express enough how much I love being a teacher in the age of technology. There are so many great tech tools, apps, and websites that make my job a lot easier and my students’ work even more creative and interesting. One such app I use A LOT is Remind. This app alleviates a lot of strain on me and my students to remember tiny details and that makes a huge difference in how class time goes. Many teachers use this app to send their students reminders about homework and tests, but there are so many other useful ways to use this app. Message absent students what they missed. This means students can stay caught up and I don’t have to remember to tell the student this info one, two, three or even more days later. Encourage students to ask you questions via Remind when they need help. If students message me, I can immediately respond to clarify or point them in the right direction. Students message me all the time when they have a tech problem they don’t know how to solve, for example. I can walk them through it in message and save myself the time in class. Share extra credit and enrichment opportunities. I tell my students about local places they can go, songs they can listen to, and maybe an occasional joke in the target language. It keeps them paying attention to my content in their real life, even if they don’t take advantage of the opportunities (but many will). Send a direct message for info that can’t wait. I can’t tell you how many times I’ve messaged a student that they left something in my classroom, they had to fix something on an assignment and re-submit, or they needed to turn something in. Instead of waiting to see them again, I can message it right away and get a small to-do taken care of. 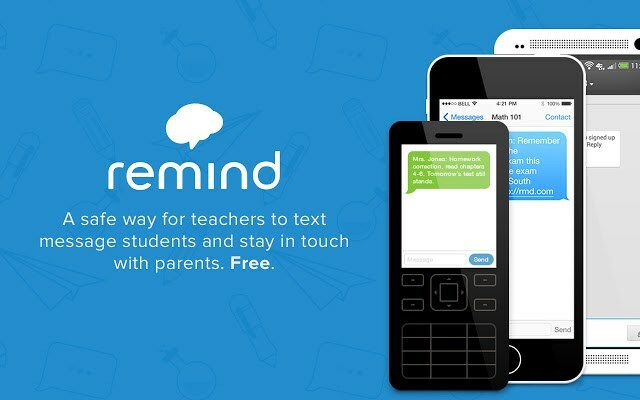 If you don’t use Remind, it will change your teaching. And if you already use it, let me know other ideas you have for making our jobs as teachers even easier!